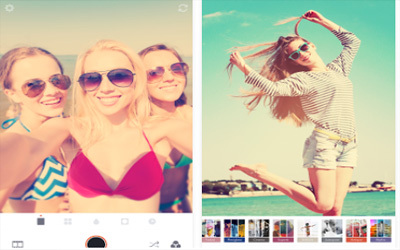 Previous version Retrica 5.0.1 apk for Android will help you to downgrade or install older app easily. This is one of the best Photography apps. At Camera mode, simply swipe up to go Discover. Swipe down anywhere, and you are back to Camera. Make friends with millions of Retrica users out there. Discover, interact and communicate with them.